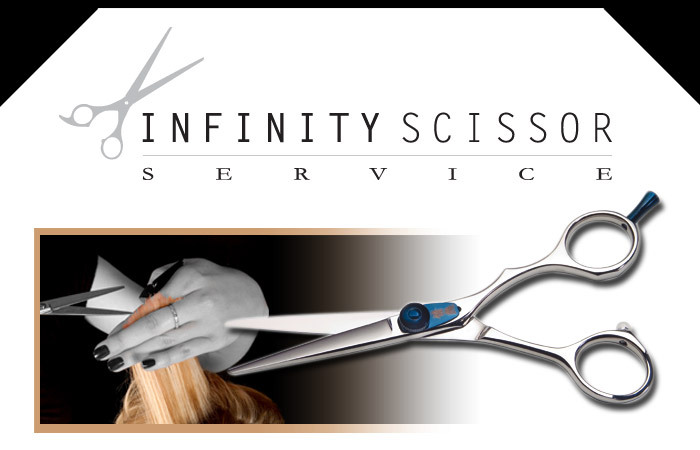 Infinity Scissor Service provides hair stylists, barbers and professionals who demand only the best with the highest quality tools and scissor sharpening service. We begin by educating our customers and colleagues about investing in quality scissors that best compliment them and their cutting techniques. Different types of scissors are designed to provide different types of hairstyles. Buying quality scissors minimizes your effort and maximizes your time. Invest in quality scissors and take the time to maintain your investments also. We recommend your scissors to be sharpened at least every 6 months by a professional scissor sharpener. At Infinity Scissor Service, we use the finest equipment and hand sharpening techniques to ensure precision tools are maintained in first-class condition. Proper maintenance and repair of your tools will add longevity to your cutting implements, and increase your productivity. Infinity Scissor Service is here to assist you with any care and maintenance questions you may have or with assistance in purchasing your new shears. We provide our customers with a 30-day service warranty on any scissors sharpened and a one year service warranty on any new scissors purchased through Infinity Scissor Service. Look for Infinity Scissor Service for rapid repair and return of your tools at trade shows or when sent to our repair center in Southern California.